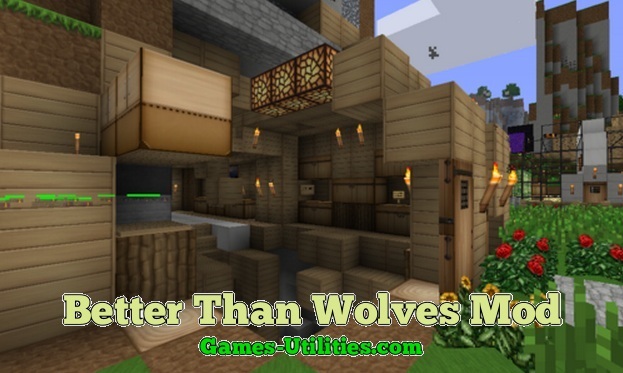 Better Than Wolves Mod for Minecraft is now officially released. BTW is one the most powerful single player mod which adds a huge number of functions/blocks to Minecraft. It helps you collect new items, build new recipes, crafting tools. It revamps your Minecraft and makes it even more fun to play. Descrption: Better Than Wolves is an enhancement mod for Minecraft. • Make sure Minecraft is closed. • Go to Start > Run > Type %appdata%, hit enter. Open .minecraft/bin sub-folder. • Now open your Minecraft.jar file with Winrar or other program. • Delete the META-INF folder there. – Better Than Wolves 4.37 changelogs and items guide can be seen inside the zip file of mod. – Minecraft Forge API is not needed for this mod. – BTW does not support multiplayer.